A Flexible Spending Account or FSA is beneficial to you as a business owner and also serves as an added bonus for your employees. How does it work? Is there only one type of account? Can I use it for dependent expenses? We’ll answer all of your questions and more right here. An FSA is an account your employees can contribute a portion of their regular pay to and use those funds for qualified expenses, like medical or dependent care. The funds are deducted from the employee’s pay before taxes, so it can significantly lower the employee’s overall annual tax burden. Why should employers consider FSAs? 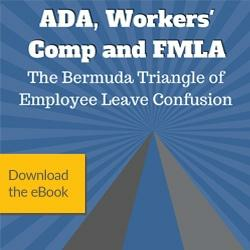 Employers can use FSAs as a benefit to their entire organization. Employees will appreciate the added bonus to their take home pay. Employers enjoy reduced payroll taxes because funds set aside for the FSA are not subject to FICA (social security and medicare) or FUTA (federal unemployment) taxes. Flex Spending Accounts are a great addition to your benefits arsenal. A solid benefits package can help you attract and retain good employees. FSAs are a great way for employees to lessen their personal tax burden and control their out-of-pocket medical costs. Let’s look at some of the common questions you might be wondering. Are There Different Types of Flexible Spending Accounts? The most common type of FSA is a health account. Used to pay for medical and dental expenses not covered by insurance. Over the counter medications are allowed, but they often require a doctor’s prescription, except for some cases like insulin. Dependent care FSAs are used for daycare expenses of children under 13, or over 13 and incapable of self care, or a parent/grandparent needing day care while you work or go to school full-time. How Do My Employees Use the FSA Funds? Generally, when you elect FSA Health, you will be issued a debit card you can use to make eligible purchases. Dependent Care accounts are not issued debit cards. In this case, you will need to be reimbursed for your purchases. To be reimbursed for a qualifying purchase, you will need to fax an explanation of benefits statement or receipt for services. The reimbursement will be sent directly to your bank account. For more information on reimbursements, feel free to contact us and ask for one of our benefits representatives. What if I Need to Make a Change Mid-Year? If you need to make a change to your election, a request must be submitted within 31 days of the qualifying event. It is a good idea to notify your benefits representative immediately if you or an employee experiences a qualifying event that warrants a change. What Happens to Unused Funds by the End of the Year? Urge your employees to be very careful when calculating their annual elections. Federal tax law requires that money left in FSAs at the end of the year is forfeited. Consider hosting a workshop where employees can learn the ins and outs of their Flex Spending Accounts, make sure they know who to ask questions to, and who to report claims with. Also, cover eligible expenses with them and provide a resource where they can check the eligibility of their purchases. That’s only scratching the surface of eligible FSA expenses. Remember these items are eligible for the FSA Health. FSA Dependent Care only covers daycare for children and adults unable to care for themselves. The main risk when offering FSAs to your employees is the ability for funds to be used up front. For example: An employee could elect to contribute $10 a week, equalling $520 yearly. At the beginning of the year, that employee could use the total $520 amount even though they haven’t actually contributed those funds yet. The risk there being that the employee could resign shortly after having used the funds, but before they have deposited the funds. In that case, your business would be responsible for the full reimbursement. While this circumstance isn’t common, it’s still possible and you should carefully evaluate whether your company can handle the risk. To offset this risk, the use-it-or-lose-it rule means that any unused funds are forfeited back to your business at the end of the plan year. The FSA program in your business is only beneficial if your employees use it. To do that, you’ll need to educate them or give them the tools to educate themselves. They’ll need to know how to get their debit card, what they can use it on, and how to be reimbursed for their purchases or daycare costs that aren’t made with the card. Check out our Flexible Spending Account FAQ page here. Make sure you have a benefits representative in your company or at least someone through the third party administrator who they can contact with questions. You might also want to share some helpful resources with them like this article, or this one. Reducing FICA and federal unemployment taxes. “Filling-out” your benefits packages resulting in increased employee retention. We’ll take a look at FSAs versus other options in a later post. So stay tuned! If you would like more information on your health benefits and Flexible Spending Accounts, contact us with your questions and we’ll be happy to help.